"Collaborating with Competitors: Mechanisms That Mitigate Coopetitive Tensions Among Member Firms in Accounting Associations and Networks"
Christie Hayne ist seit Juni 2017 Assistant Professorin an der University of Illinois at Urbana-Champaign, Gies College of Business. Von August 2015 bis Juni 2017 war sie als Assistant Professorin an der Virginia Polytechnic Institute and State University, Pamplin College of Business, Blacksburg (USA) tätig. Ihren Doktortitel erlangte sie 2015 an der Queen's School of Business, Kingston (Kanada). Christie Hayne erlangte einen Master of Business Administration und einen Master of Science in Management. Zudem hat sie einen Abschluss als CMA (Certified Management Accountant) und CPA (Certified Public Accountant). Ihre Forschungsschwerpunkte liegen in den Bereichen Management Accounting, Wirtschaftsprüfung und Risikomanagement. · Bills, K., Hayne, C., Stein, S. (Forthcoming). A field study on small accounting firm membership in associations and networks: Implications for audit quality. The Accounting Review. · Hayne, C., Free, C. (2014). Hybridized professional groups and institutional work: COSO and the rise of enterprise risk management. Accounting, Organizations and Society, 39: 309-330. · Hayne, C., Salterio, S. (2014). Accounting and Auditing. In M. Bovens, R. E. Goodin & T. Schillemans (Ed. ), The Oxford Handbook of Public Accountability, 421-440. Oxford: Oxford University Press. · Bills, K., Hayne, C., Stein, S. (2018). Collaborating with competitors: Mechanisms that mitigate coopetitive tensions among member firms in accounting associations and networks. · Hayne, C. (2018). Accountable sensemaking and sensegiving: The use of management accounting during the decline and turnaround of a healthcare institution. · Hayne, C., Vance, M. (2018). Information intermediary or de facto standard setter? Field evidence on the indirect and direct influence of proxy advisors. 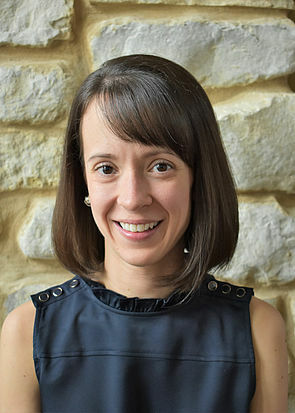 Christie Hayne is an assistant professor at the University of Illinois at Urbana-Champaign, College of Business (USA) since June 2017. From August 2015 until June 2017 she worked as an assistant professor at the Virginia Polytechnic Institute and State University, Pamplin College of Business, Blacksburg (USA). She received her doctoral degree at the Queen's School of Business, Kingston (Canada). Christie Hayne gained a Master of Business Administration and a Master of Science in Management. Furthermore, she also holds a degree as a CMA (Certified Management Accountant) and as a CPA (Certified Public Accountant). Her research interests include management accounting, auditing and risk management. · Hayne, C. (2018). The effect of discontinuous and unpredictable environmental change on the use of management accounting during organizational decline: A field study.